The Generation 2 upper assembly featuring a 7 sided Keymod Rail , perfect for 3 gunners! The receiver is a flat top M4 Mil-Spec upper receiver are forged CNC Machined from 7075-T6 Aluminum, the hardest and most durable material of any upper! This 16” 300AAC barrel is made from 4150 Chrome Moly steel, has 1:8 twist rate & pistol gas system.This incredible rail has 200% increase in keymods, so your attachment position options are endless! 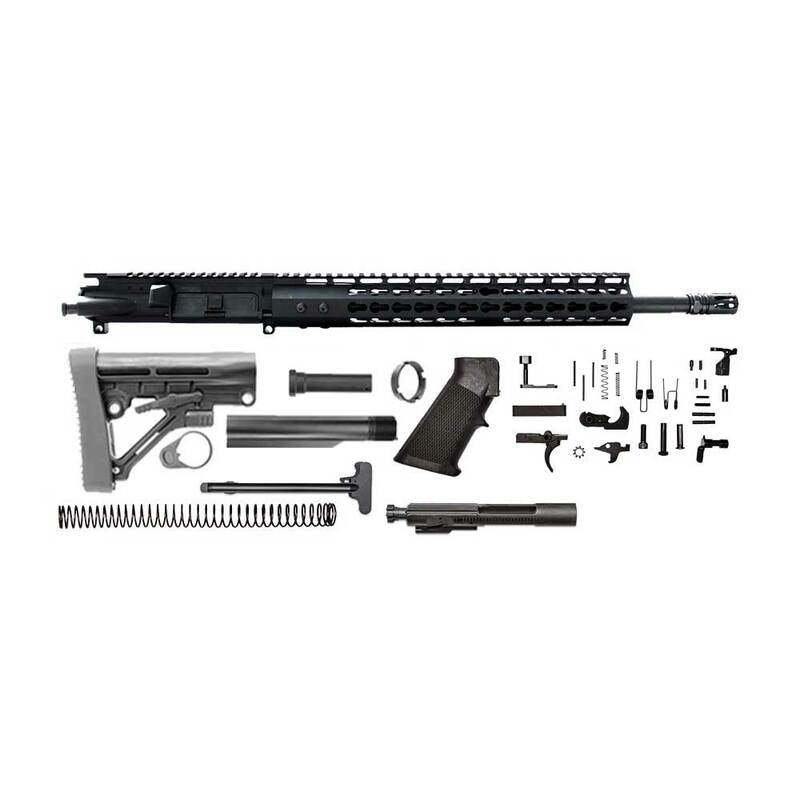 The rail is a 13” CBC Keymod rail made from Airplane Aluminum and then hard coat anodized to improve the strength! This is a hell of a kit for the money. The lower parts kit leaves a little to be desired. The buttstock and pistol grip are on par with cheap airsoft stuff. But everything else is impeccably awesome. The nitride BCG is excellent. My particular upper has been consistently giving me groups under an inch at 100 yards using factory Remington UMC 120r OTFP…. seriously I started my zero at 50 yard and the first two shots were a single oblong hole, the third almost touching. At 100 yards, they were staying on a IPSC paster…. I never expecting that kind of accuracy…. Anyway, I’ll probably be buying more and more… And by the way, Mission First Tactical Minimalist stocks look amazing on these guns. If your on the fence, just buy one… You won’t regret it.